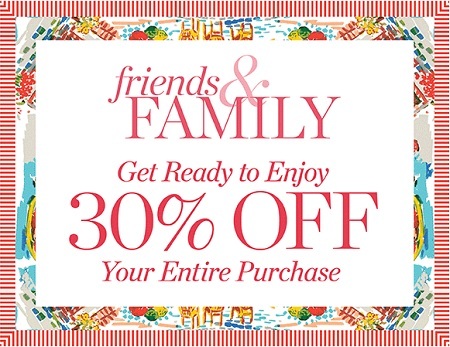 There are 3 days when you can enjoy shopping during Talbots Friends & Family Sale Event at Talbots retail stores in the U.S. or at Talbots online. Get 30% off entire merchandise purchases. For online orders, please enter offer online code FRIENDS30 at checkout. Valid only from 04/28/2016 through 05/02/2016. Source of the information is U.S. Talbots. For more details about this amazing offer visit your nearest U.S. Talbots store location or official website.